Kyocera kicked out another rugged flip phone for Sprint and called it the DuraXT. This DirectConnect-capable walkie-talkie device takes a beating and keeps competing. Find out what we liked and what we didn't in Phone Scoop's full report. 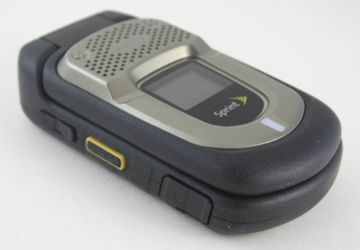 The Kyocera DuraXT, a follow-up to last year's DuraMAX, is a rugged clamshell that offers Sprint's CDMA-based Direct Connect push-to-talk service. As with other PTT phones, the DuraXT is not out to define new standards in style or design. Instead, the DuraXT is about surviving the dangers of worksites and other harsh environments all while providing the best in basic communications. If you think you're tough, the DuraXT is probably tougher. Sprint today began offering the Kyocera DuraXT, a rugged clamshell that joins Sprint's line of tough-as-nails push-to-talk phones. The DuraXT uses Sprint's CDMA-based PTT service, called DirectConnect. The KEYone is made by TCL and it runs Google's Android operating system, but this phone clearly has the heart and soul of a BlackBerry beating within. BlackBerry and TCL designed the KEYone together to ensure it offers the best from BlackBerry, TCL, and Google. U.S. Cellular today announced that it will carry the Kyocera DuraPro starting February 27th for $150 before $50 mail-in rebate. Republic Wireless today announced the Relay, a simple, screenless device meant to help young children communicate with their parents and other family members. The Relay is small, puck-like speakerphone with a single large button. Finally a match for the old Moto iDEN phones? It sounds like this phone gets better reception and better audio quality and louder speaker than its predecessors. 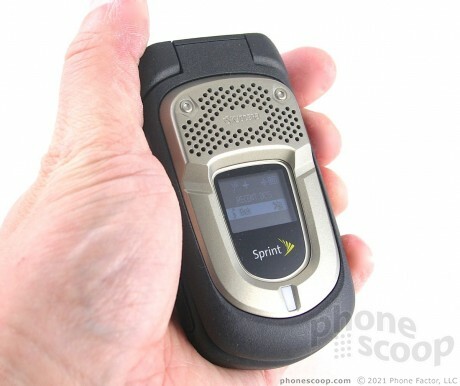 I know the first few Kyocera Sprint DC phones didn't have the greatest voice quality. Glad to see Sprint is upping their game for those die-hard iDEN users who won't give up their old Motorola bricks. I know I had a hard time giving up my i530! Looks like this would be a decent replacement. Especially now that the iDEN network is doomed come 2013 ☹️ Nice review by the way! Agreed, it is a good review and it sounds like Sprint & Kyocera are trying to correct the shortcomings/defects of the original models intended to replace the Motorola Nextel phones. Thanks for the review its nice that PS still gives love to the flip phones..